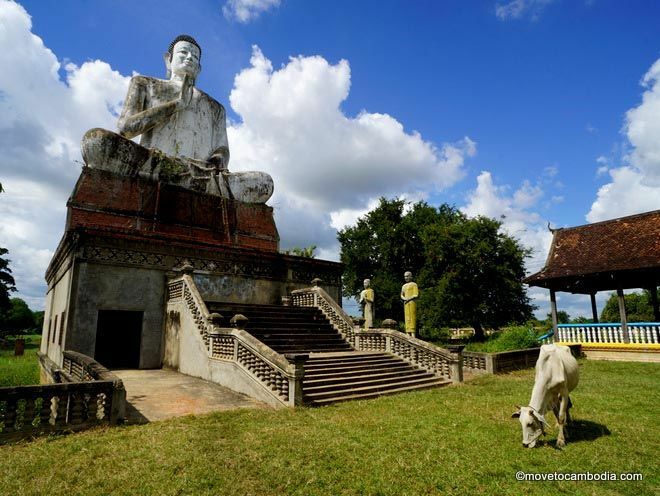 Battambang Resort offers a gorgeous getaway just outside of town. This is what Battambang Resort looks like in bad weather–it’s generally more beautiful than this. 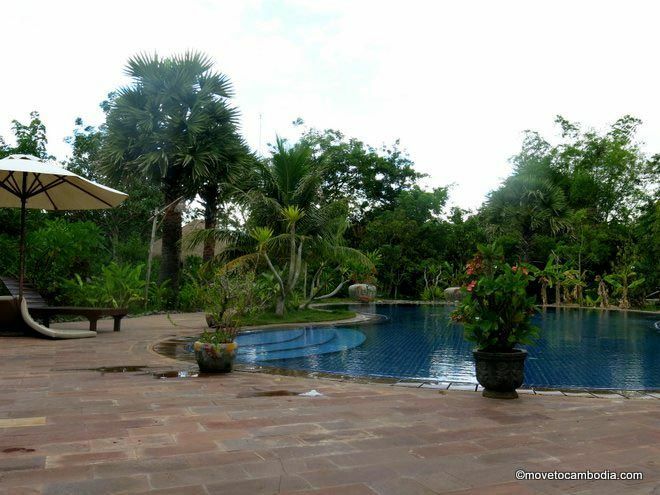 Battambang Resort is one of Battambang’s best-known getaways, even though it’s been open for less than three years. 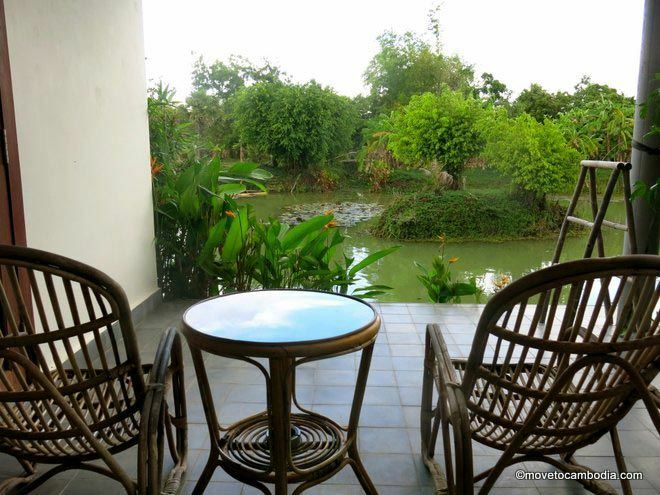 With gorgeous views of their majestic tropical gardens, lush rice paddies, and lily-pad-filled lake, their rooms offer a relaxed getaway 2.5 miles outside of Battambang city. Lake-view rooms offer the most privacy for romantic getaways. The Dutch-owned hotel caters to families and couples. They recommend the lake-view rooms for couples looking for a little seclusion; each room has its own private terrace looking out over the lake. 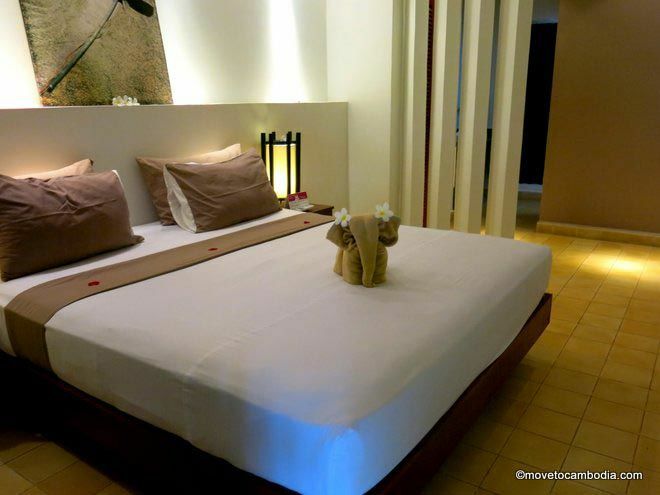 Battambang Resort’s modern rooms are tastefully decorated with a “less is more” aesthetic. Rooms offer a mini-bar, refrigerator, hot shower (separate from the bathroom, a nice touch), and astonishingly, no TV, which allows for a greater degree of peace and quiet. Don’t worry, there is excellent WiFi if you need to get your fix. Less is so much more at Battambang Resort. The restaurant gets excellent reviews and is very reasonably priced (for example, a pasta dish is $4.50) and serves a mix of Khmer and European dishes. They offer free room service if you’d like to enjoy your meal on your terrace or in your room. If you aren’t staying at the resort, buying a meal also allows you use of the pool if you want to come for lunch and a swim. We were given the following rates for rooms: $55 for a garden room, $60 in high season; $75 for a lake room, $80 in high season. They are currently building another set of rooms nearby that should be ready in time for the coming high season. If you’re planning on booking at Battambang Resort, have a look at their prices on Agoda, which are often lower than the walk-in rate. 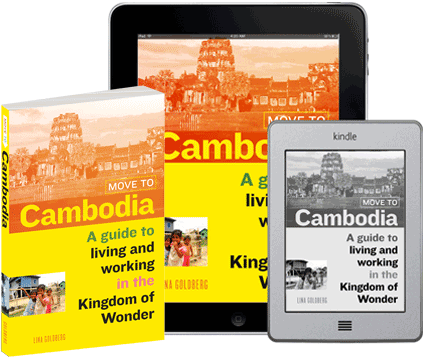 → Check out our reviews of other Battambang hotels and accommodation.